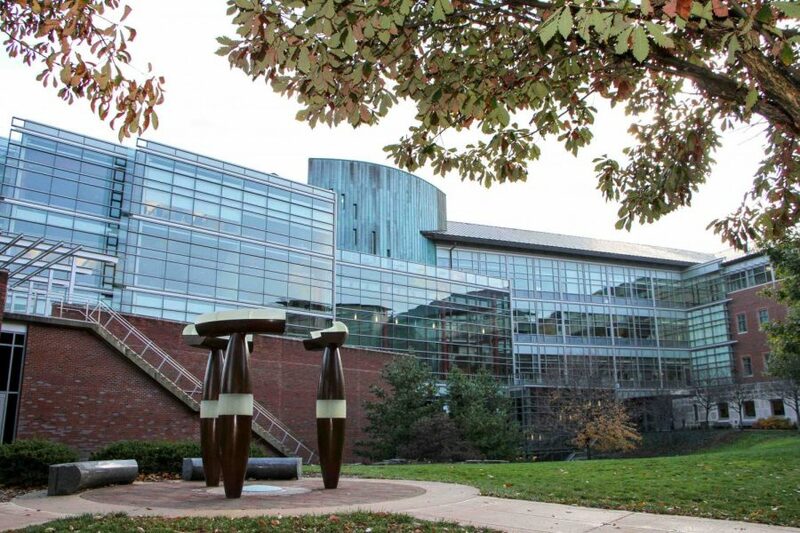 The Thomas Siebel Center for Computer Science is a teaching and research facility that houses the Department of Computer Science at the University. Located in Urbana, it features new-age technology and computer laboratories that allow it to be the first "computing habitat" of its kind. Two new CS + X majors, CS+ Music and CS + Crop Sciences, will be made available to students through the University’s School of Music and the College of ACES Department of Crop Sciences. Students can start enrolling in fall 2018. “CS + X opens up new possibilities in education, research, science, technology, industry and entrepreneurship; the potential discovery of new connections between CS and other disciplines; and the benefits of data management and analysis applied in new ways to new fields,” said Colin Robertson, assistant director of communications for the Department of Computer Science, in an email. These two new majors are not the first of their kind. Four CS + X degrees exist in the college of LAS, including CS + Anthropology, CS + Astronomy, CS + Chemistry and CS + Linguistics. Robertson said computer science is critically important to a growing number of disciplines. The new CS + Music program will also provide new opportunities to students. The degree will prepare students for potential careers such as music technology and music composition. The CS + Music degree expects an enrollment of 10 to 15 students next fall. Meanwhile, CS + Crop Sciences plans to begin with five to 10 students. Fred Kolb, professor in crop sciences, said in an email that people with a combination of skills in computer science, crop sciences and other areas of agriculture are needed, based on conversations with companies and other sources. “The handling and analysis of very large data sets is becoming increasing commonplace, and people with a combination of these skill sets are greatly needed, and will have many opportunities in several areas of crop sciences from plant breeding and molecular genetics to fertilizer placement and climate prediction,” Kolb said. Kolb said the new crop sciences major will provide a chance for students to obtain this unique combination of skills. “The new major is vastly different from the major in crop sciences due to the very heavy emphasis on combining a crop sciences background with a background in computer science,” Kolb said. At least 12 hours of math and around 31 hours of computer science is required for the new major, as well as at least 34 hours in crop sciences. Kolb believes the new major will be an attractive combination of biology and computer science. “Analysis of big data sets and use of many types of technology are becoming increasingly important in agriculture and many fields of study,” Kolb said. The early application deadline for these majors is Dec. 1.